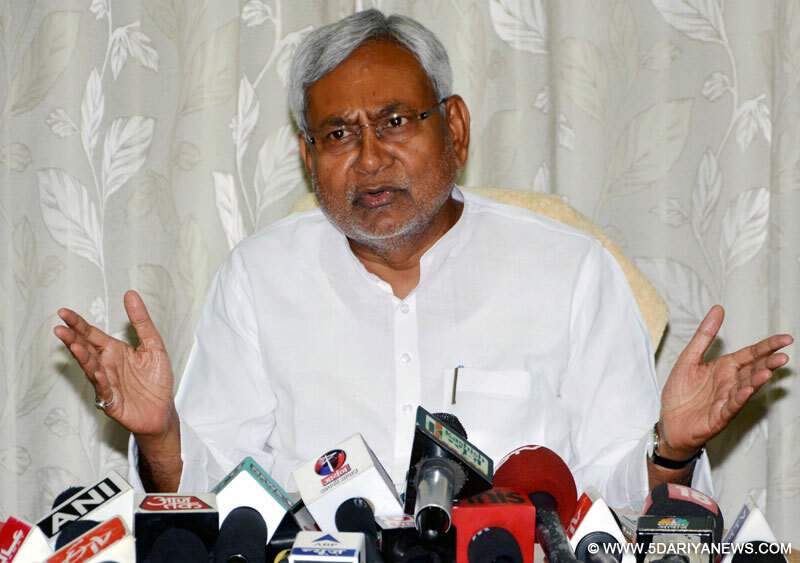 Bihar Chief Minister Nitish Kumar on Saturday said he was ready to debate on the issue of reservation with Prime Minister Narendra Modi. "Modiji I’m ready to debate the issue of reservation with you any day," the chief minister tweeted. "Stop misleading people and your efforts to add communal colour to Bihar assembly Polls," he added.Modi is leading the campaign trail for the BJP-led NDA in the state assembly polls. The NDA includes Lok Janshakti Party (LJP), Hindustani Awam Morcha (HAM) and and Rashtriya Lok Samta Party (RLSP). The Grand Alliance -- Mahagathbandhan -- headed by Nitish Kumar includes Rashtriya Janata Dal (RJD) and the Congress.The voting for the fourth of the five-phase elections would be held on November 1. The counting of the votes is scheduled for November 8.